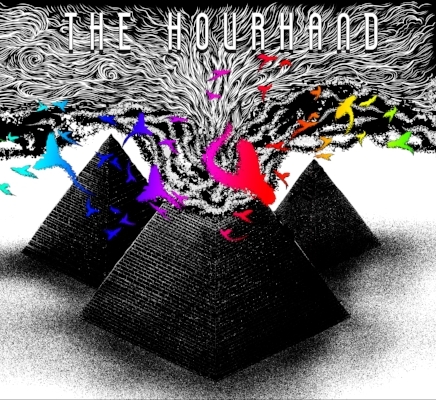 Regina's new kings of doom rock are a three-piece band called The Hourhand. They just released their self-titled debut EP, it's a guitar-driven homage to music of an earlier time, but also still entirely mired in the present. At times they sound like Black Sabbath, only much friendlier. Gray Farrow’s got a great voice that acts as a glue between the Dawson Dressler’s thudding percussion and Cole Van Woert’s razor-sharp stringwork. The lead single, “Speakeasy” is the most Black Sabbathian track on the record. The video they released for it is a testament to how these guys can rock. But the other tracks on the EP vary in style and show the band to be extremely diverse at this whole rock and roll thing. “Peaks and Valleys”, “Help is on the Way” and “Porcelain Veins” are smooth and accessible and do well in displaying the band’s ability to craft instantly memorable hooks. “I Am” rocks like 90’s grunge and “Come Sweet Darling” adds a touch of the dramatic. This EP is but a small sample from a band that could soon be one of the province’s most popular. How long have you been working on this album for? This album has been in the works for the past year and a half. We have always had an EP release in mind. However, once we had enough material written to really have a grasp of our sound, we found that it felt right to begin making that ambition a reality. Where and with who was it recorded? The entire EP was recorded, engineered, mixed, and mastered by Justin Bender. We recorded the drums at Blue Door Recording Studio in Regina and recorded everything else at Divergent Sounds in Moose Jaw. He was an absolute pleasure to work with! What is "Speakeasy" about? Was that your first time shooting an official music video? What was it like? Any interesting stories from it? "Speakeasy" is a song about 1920's gangsters during the prohibition. At the time, a bar would be called a "speakeasy" due to being an illegal establishment. As for shooting our first music video, it was definitely a surreal experience. We felt we had a really good bond with Anastas from RoyalZProductions who shot and edited the video. We had a vision of what we wanted and he delivered a video that met and went beyond that vision.Kind of ironic considering the theme of the song - we actually almost had the police called on us, due to shooting in an abandoned church later in the afternoon. We had permission to be there, but I guess some neighbors didn't know that. I hear a definite Black Sabbath vibe. Is that what you were going with? What are your influences? We can't say that we modeled our sound around any band in particular. However, we definitely have had major influences on our Hourhand music. We started off only playing cover songs, so we played a lot of music from rock and alternative bands. These cover songs helped us gel as a group, and have definitely influenced what we perceive as well-written songs. 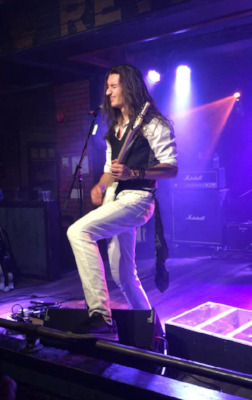 We would have to say our collective top 3 bands that most influenced The Hourhand would be Rush for their innovative and progressive approach to music, Foo Fighters for their catchy song-writing ability, and Led Zeppelin for their studio complexity. You had an album release party: how was it? What was the turnout like? The other bands? Any good stories? We just had our release party on November 1st at Revival Music Room in Regina. We had Mother Night and Dead Levee on the bill, which was great! We played our first show in Regina with Mother Night, so it felt right to have them play at our EP Release Party. This was the first time we played with Dead Levee, but it definitely won't be our last. The amount of energy those guys bring on stage makes them a real treat to watch. The Release Party could not have gone better in our eyes. The venue was packed, the crowd was energetic, and the music was loud. We even had the opportunity to stand at the door and personally hand out CDs to all the fans who came with a presale ticket, which got them admission and a free CD. A big highlight of the show would have to be Mother Night bringing David and Joe from Newera onstage to perform with them. It was definitely an experience you would never see at any other show! The Hourhand with Dead Levee at the EP release at Revival Music Room. Now that the EP is out, what's next for The Hourhand? Now that the EP is out, we plan on continuing to promote the album to expand our audience. We are planning to tour around Saskatchewan and the neighboring provinces to promote our band and share our music to new fans.